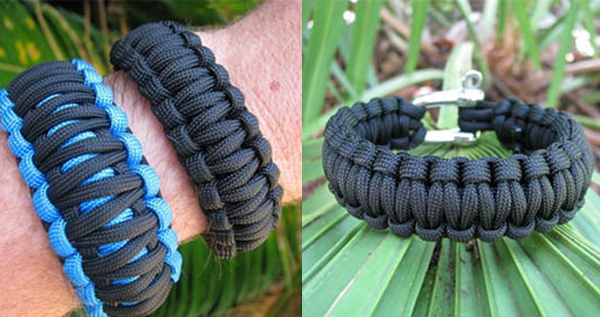 Made from type III Military spec parachute cord these survival rope braclets will get you out of a lot of trouble! If...your in trouble. Each one unravels to between 8 and 10 foot of high grade paracord, which then has 7 inner strands which have a 50 lb. tensile strength. The outer sheath is rated at 200 lbs. The inner cords can be used for fishing line, sewing repairs, lashing, snares, or tying up someone you don't like?